Hace unos días, me hicieron una entrevista por ser la primera Social Media Manager del grupo 4Finance. Ninguno de los países del grupo tenía todavía esta posición y es guay poder ser pionera y marcar el camino de los que vengan después 🙂 Está en inglés, pero no por ello quería dejar de compartirla con vosotros. Social media is one of the main marketing tools no matter what industry. With social media sites like Twitter, Facebook and Instagram becoming main source of information for media outlets like CNN, BBC, Euronews and other, as well as main marketing and sales tools for some of the trending global brands, it would be rude for any selfrespecting sucessful business to ignore it 🙂 Thanks to social media site mobile apps, people have switched to their phones to make sure they are present and informed on the latest happenings at all times. This is when a well thought through, fast and proactive communication on social media plays a significant role for our brands as well. We are happy to introduce our very first Social Media Specialist – Angela Olea from 4finance Spain Marketing team! How long have you been with Vivus.es now? A.O. I started at 4finance in November 2016. These months I have been working very hard to establish and launch Social Media strategies for Vivus and Zaplo. What were your 1st impressions about our company? A.O. I am very happy to work with so demanding and hard-working people. I have had a great welcome from my marketing colleagues and I learn new things every day from them. For me it is a great challenge to be part of a company capable to face this adventure in countries so different from each other. What are your main day to day duties? A.O. Content is my main focus, both in social networks and blogs (Vivus blog is about to turn 2 and soon we will launch Zaplo’s). Our goal is twofold. In one hand, to offer quality content to the user and generate users engagement with the brand, and in the other hand, to offer another way of customer service through more technological channels. 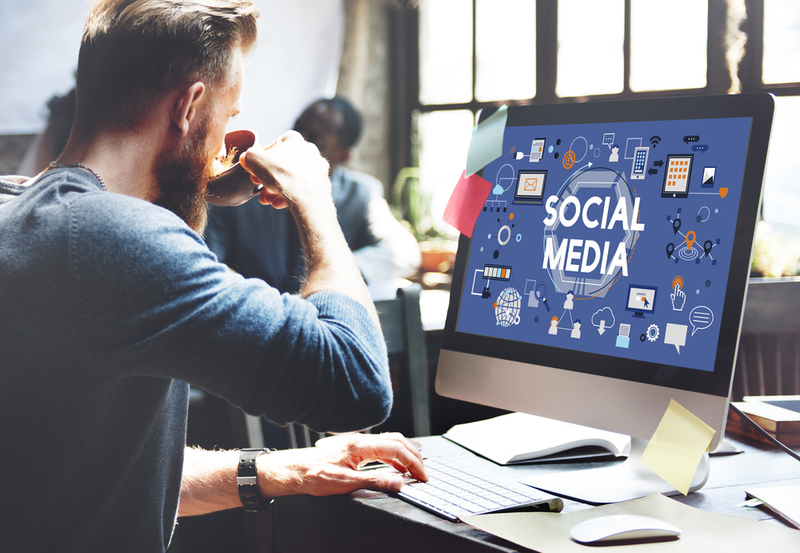 In addition, Social Media is a very important part of the brand image that customers have, so it is very important to care for and work on it. Which social media channels you work with? A.O. In Vivus we work with Facebook, Twitter, Google+, Linkedin and Youtube, and soon we will launch Instagram. For Zaplo, we are currently working with Facebook, Twitter and Google+. Which channel you find has the best response rate and success in your country? A.O. Facebook, with no doubt. On Facebook it is easier to find our target audience and communicate with them. Every social network has an important weight in the strategy (Twitter gives us visibility, Google+ helps SEO …), but if we had to choose only one, it would be Facebook. What is the most challenging part in your job? A.O. We work in a sector with a lot of competitors and it is difficult to make a difference, mainly because normally, our customers are quite reticent to interact with us in our profiles in social networks. However, in terms of work and strategies in Social Media, our sector is still at a very early stage. There is still a long way to go and our objective is to lead this process in the Spanish market. How does Vivus.es compare to other similar competitors brands when it comes to the use of social media? A.O. It depends on the KPI that we use. If we measure total followers we are in fourth position in the ranking with almost 14.000 total followers. If we use Share of Voice as our main KPI (a metric that for me is infinitely more relevant), we have been leaders in the last two months. The Share of Voice, in case anyone has doubts, measures the volume of conversation that we generated among the users of our sector total. What would be your top 5 advices to anyone else who’s managing social media accounts for 4finance Group in other countries? 1. Always focus on useful and entertaining content for Social Media users. 2. Try to connect with users beyond the brand-potential customer relationship. 3. Keep in mind the value that Social Media channels can have to support the sales strategy of the marketing department. 4. Never forget that everything we do and say in Social Media represents our company and is completely public, in a good way and also in the bad. 5. A blog full of good and useful content is the best option to support any SEO strategy, so it has to be in our main focus. Do you have any success stories or best practices you can share? A.O. I have been working in social networks for more than 6 years so I have lived closely the growth of many Spanish brands. However, having increased the interaction of users with our profiles by 250%, increasing the number of people who view our publications by 200% or increasing the normalized Share of Voice from 0.26% to 26.50% is something to be proud of. But all this is just the beginning, because we still have a lot of work to do and I will be happy to share it with my colleagues Social Media Managers that will be incorporated into our company in the future. Archivado en Sobre mí, Social Media.